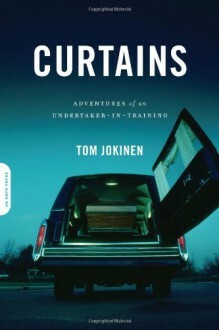 At forty-four, Tom Jokinen decided to quit his job in order to become an apprentice undertaker, setting out to ask the questions: What is the right thing to do when someone dies? With the marketplace offering new options (go green, go anti-corporate, go Disney, be packed into an artificial reef and dropped in the Atlantic...), is there still room for tradition? In a year of adventures both hair-raising and hilarious, Jokinen finds a world that is radically changed since Jessica Mitford revised The American Way of Death, more surprising than Six Feet Under, and even funnier and more illuminating than Stiff.If Bill Bryson were to apprentice at a funeral home, searching for the meaning of life and death, you’d have Curtains.